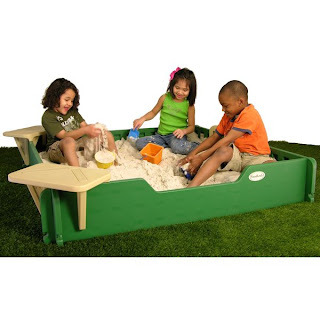 One of my first outdoor play items was a sandbox. My dad made it for me and it was always a lot of fun to try and make sand castles with my brother. My dad and grandpa later added a playhouse on top of the sandbox and I felt like I had the coolest play set around. 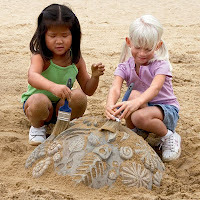 I think the sandbox is a toy any kid will love. The imagination can take over and play can happen for hours. That is why I love our selection of sandboxes. Several sizes are available and we even offer sand accessories. The 5x5 Sand Box Kit is one of our smaller sizes. Just add one of the Diggables, Fossil Jam or Raptor Rock to complete a fun afternoon in the sand.